When travelling throughout Vietnam, tourists never fail to take notice of the local charming ladies donned in Áo Dài (Vietnamese traditional long dress) and Non La (conical leaf hat, Vietnamese: Nón Lá) walking gracefully along the streets. By no doubt, the Ao dai embody the femininity and charm of the Vietnamese women, while the appeal and functionality of the Nón Lá creates a beautiful harmony of the entire ensemble, leaving a strong impression of gracefulness and romance to any tourist who visits the country. 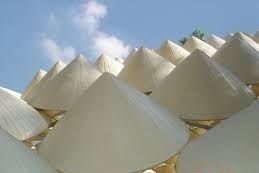 In recognition of the hat’s distinct shape, Nón Lá earned its common name, “Vietnamese conical hat”. Vietnam is a tropical country characterized both with rainy and dry seasons. Clearly, Nón Lá is essential for the people to protect themselves from heat which could last for months, and sometimes even reaching 40 degrees Celsius in intensity, and also during long periods of enduring rain. Though the Nón Lá has appeared even from the earlier days of the country’s history, no one can precisely trace back as to when the conical head piece exactly originated. Images of the Nón Lá, however, are evident on the Trong dong Ngoc Lu (Ngoc Lu bronze drum) and Thap Dong Dao Thinh (large bronze cylindrical jar of Dao Thinh) known to date back some 2,500 to 3,000 years ago indicating that the hat had already been utilized during the period, or even earlier. Nón Lá had in fact existed as a daily essential of the Vietnamese from thousands of years ago and even in legends and fictions handed down throughout the generations. Looking at how a hat is constructed may seem very simple, but in reality, it is not. A well-made Nón Lá requires painstaking precision of the maker owed not only from talent itself, but also from numerous years of experience in the craft. It may be hard to believe, but every single needlework is steadily sewn in equal spaces even without measuring. 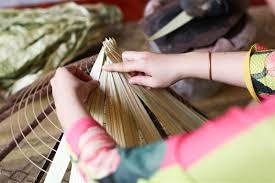 The connection of sewing nylon threads is skillfully hidden beneath the minute and even stitches. There is no doubt how the step-by-step process could be very time consuming and requires so much patience from the craftsman. very diverse from region to region. 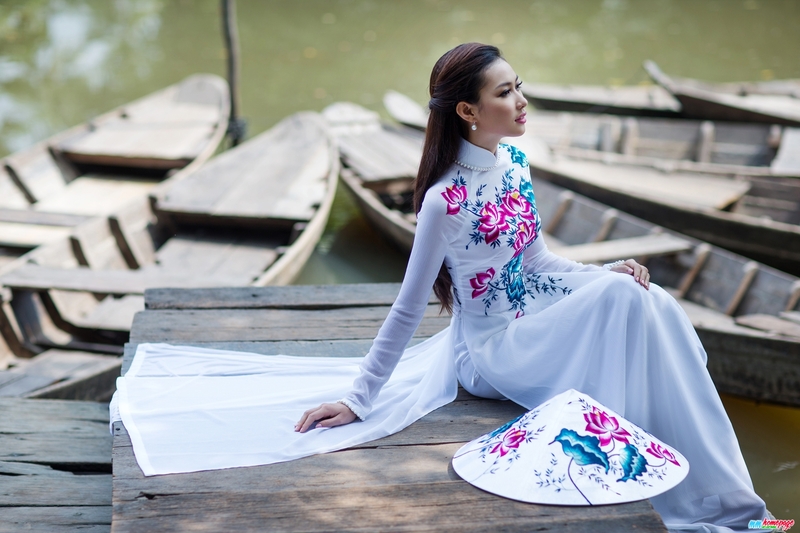 Some of traditional clothes are now not very popular, but they will never been forgotten because of its frequent presence in special occasions like Tet holiday, traditional festivals and cultural shows. 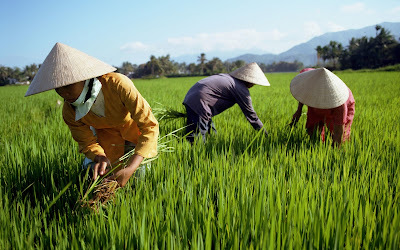 Vietnamese women. Nón Lá is popular throughout the country and is commonly found in famous villages and areas across the North, South and Central of Vietnam. Hats made from each region exhibits special characteristics which translates the distinctiveness of the locals in that particular area. 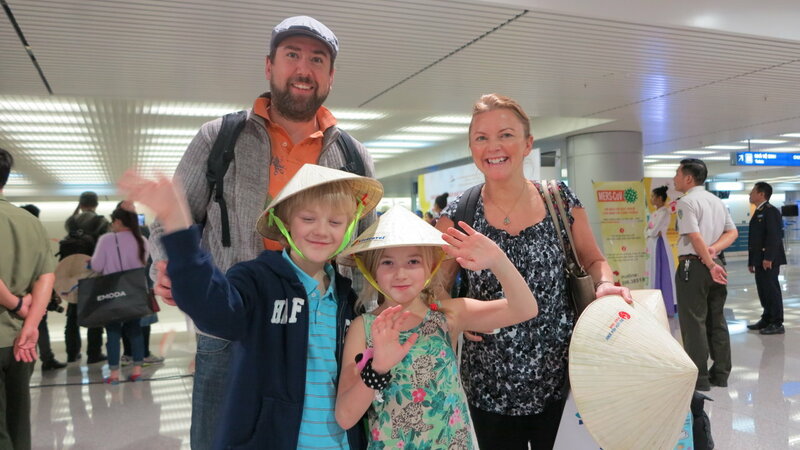 If you have the opportunity to travel to Vietnam, let's buy a conical hat, it will not only help you avoid the sun or rain during the trip itinerary but it is also immensely as a gift to donate relatives at home as souvenirs. I believe that your loved ones will love them.